In today’s online shopping age, readers often base their buying decisions from small postage stamp size book covers (Thumb-nails), a quick glance at the book description and the review. How much time do they really spend making that buying decision? AUTHORS – You often only have seconds to get a reader to buy your book, is your book cover and book bio up to it? My Friday Five Challenge is this….. IN ONLY FIVE MINUTES…. 6) Make an instant decision, would you BUY or PASS? In the mountains of East Tennessee lies the town of Elders Keep. Things aren’t exactly right in the Keep, and as the town heads towards the holiday season, the evil force that lives within the woods comes pulsing to the forefront. It’s all downhill to New Years, and no one in the Keep is safe. This collection of eight short stories is your invitation to join the citizens of Elders Keep as they make their way through a harrowing holiday season. Only the dark and twisted mind of Jeffery X Martin could create a town where humor and terror live side by side in such harmonious agony. If you lived here, you’d be dead by now. This was an easy search term, and I picked this book as an example of what I think is a book cover which doesn’t work. I’ve deliberately left the image larger than normal for you to have a chance of locating the book title on the front, in small thumbnail size, the book title is unreadable. The white font used for the author name and smaller piece about another book the author has written don’t show up well on the white diary page. The object behind the diary page has little use, it may be a picnic bench but it adds nothing to the cover. This book was published in 2013 and has very few reviews on Amazon for that length of time. The book description has more potential for the book, but if the customers have passed on by because of the book cover they won’t get to the book description, nor the magic “Buy Now” button. Many of the other titles in this search term “Screamed” Black Friday at me. It is a well known term for a specific day and if you choose it as your book title you should take advantage of the high impact image it creates, even if your take on it then twists off in your unique storyline. Here are links to more bloggers taking part in this week’s challenge. Wow! I thought this was going to be a business or marketing book when I saw the cover. What a shame as the blurb sounds interesting. I’d PASS. Great idea for a search!!! Alas, even if the cover didn’t look like a business planning book (as Shelley said! ), I’d be put off by the blurb. New Years? New Years what? If he means New year’s Eve, the ‘years’ should have an apostrophe in it. And an ‘Eve’ after it. As for ‘Only the dark and twisted mind of Jeffery X Martin’ etc, anyone who makes grandiose claims about themselves in their book blurb is unlikely to have written anything I’d want to read, to be honest. Not a very inspiring cover, but the description sounds ok. I think it would a pass from me. This sounds more interesting that actually going shopping on Black Friday but the cover is insipid and even though the blurb makes it more interesting it would be a pass from me. This would be a pass for me too. 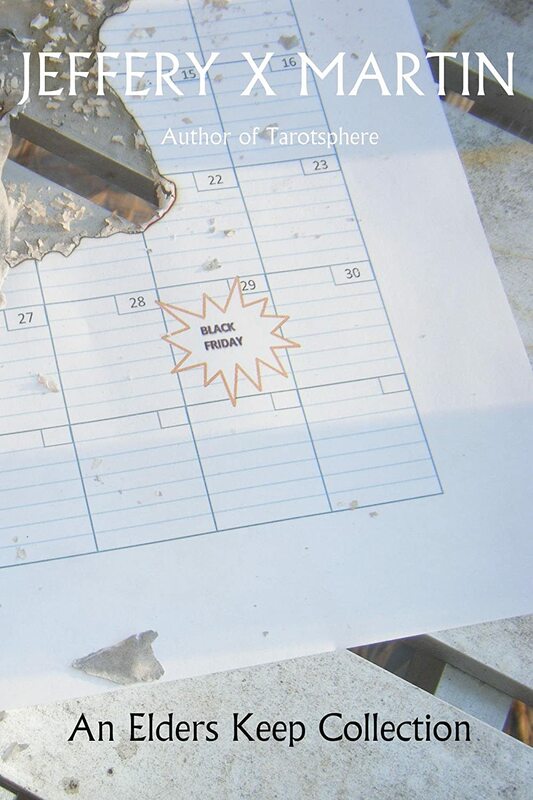 Although, if I was forced to choose between it and actually going to an American big box store on Black Friday… hmm.